Introducing Karen Johns and DARE Formal Wear. Karen is the founder and CEO of DARE. Karen started up DARE to help save lives of victims and survivors of Domestic Violence. Karen wanted to ensure that every victim and survivor of DV had access to a trained volunteer support worker that would provide ongoing support and connect or refer them to free community help. The month of May is Domestic Violence Awareness Month and we felt as business owners that we have a part to play in the fight against Domestic Violence. 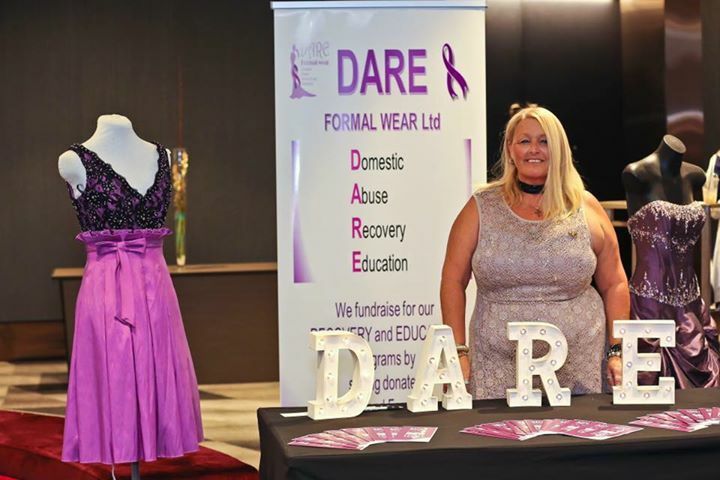 So we pledge to donate 10% from all sales during the week from Monday 15th May to Saturday 20th May 2017 to DARE Formal Wear so they can continue to do their work in supporting and connecting to victims and survivors of DV and educating students about DV.